Return policy details ：Your satisfaction is our utmost priority. If the item you purchased is not what you had expected, you may send it back for a refund or exchange within 14 days of receiving the item. Please note that all returned items must be sent back with ALL original accessories and paperwork included at the time of purchase. The returned item must also be in the same original condition as initially shipped. 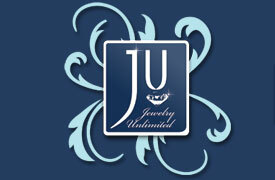 Items that have been altered in any way (whether by customer or requested by Jewelry Unlimited) such as sizing, are not eligible for return or exchange unless explicitly authorized by us. Please contact us prior to sending an item back via eBay's message system. 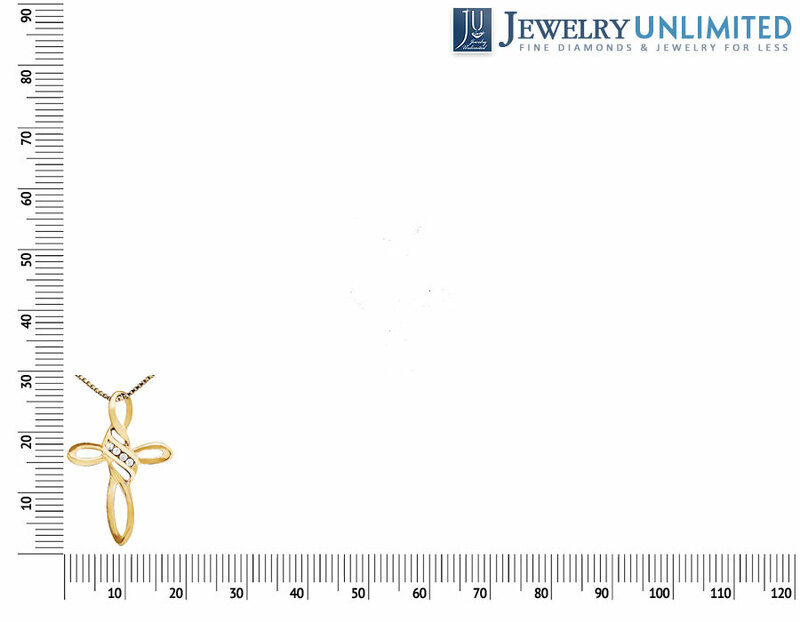 Furthermore, please review our terms of sale within our policy page at http://stores.ebay.com/jewelryunlimited786/Returns-Exchanges.html. Thanks for your business! Please contact us before leaving negative feedback! We will do everything possible to ensure that you are satisfied with your purchase. 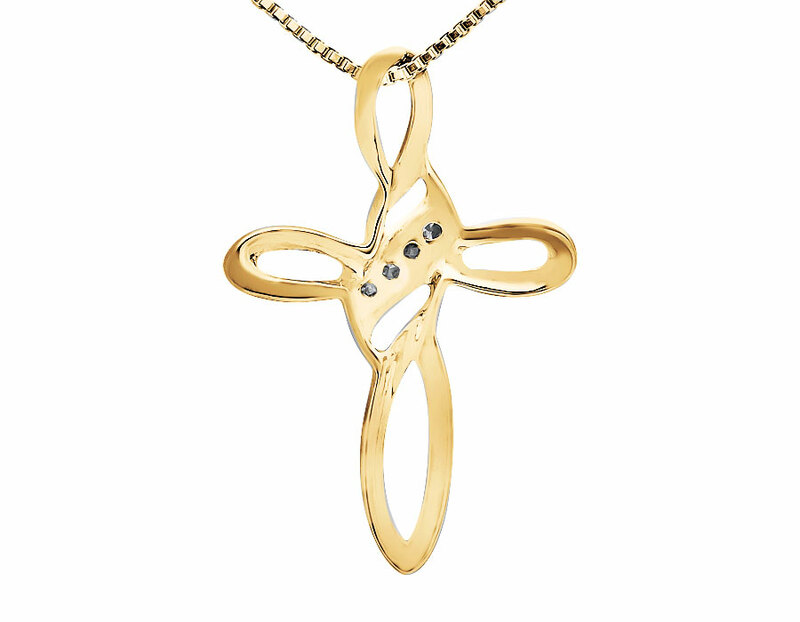 Sleek and modern, this looping cross pendant is perfect for the fashion-forward woman of faith. 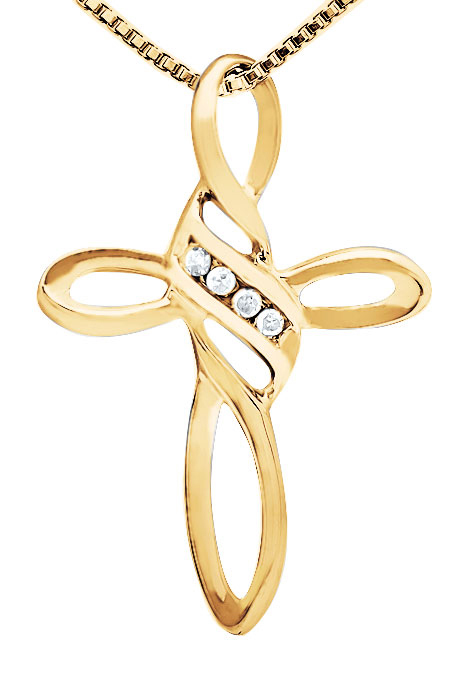 Created in 10K yellow gold, this cross features a single diagonal row of shimmering round diamonds in the heart of the cross in channel setting. Simple yet sophisticated, this cross dazzles with subtle sparkle of four round-cut diamonds ranking in Si2-I1 clarity, H-I color, 0.10ct. of diamonds and a polished shine. 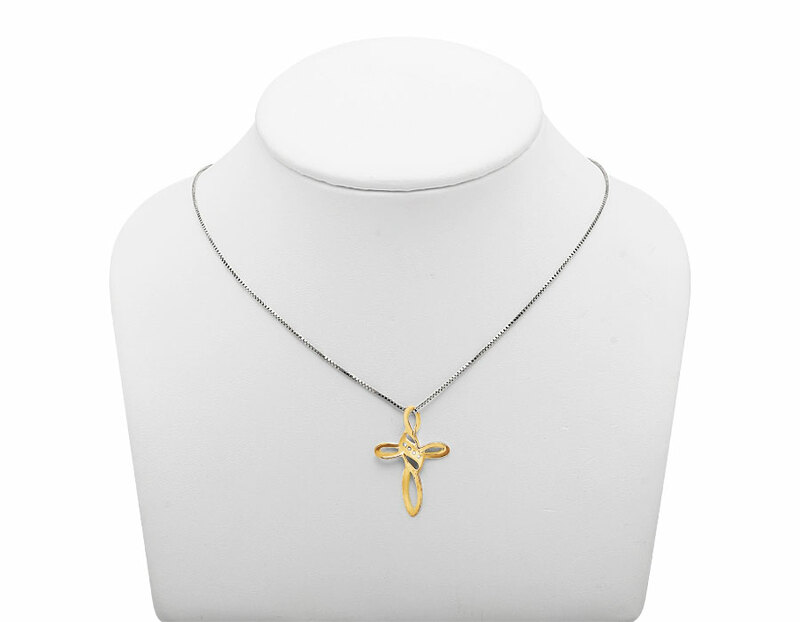 Light weight and gorgeous for an everyday wear, this 29MM X 19.5MM pendant weighs 1.5 grams. Pair it with your favorite chain. OTHER DETAILS: This pendant comes in a beautiful presentation box.